Have your best summer yet! 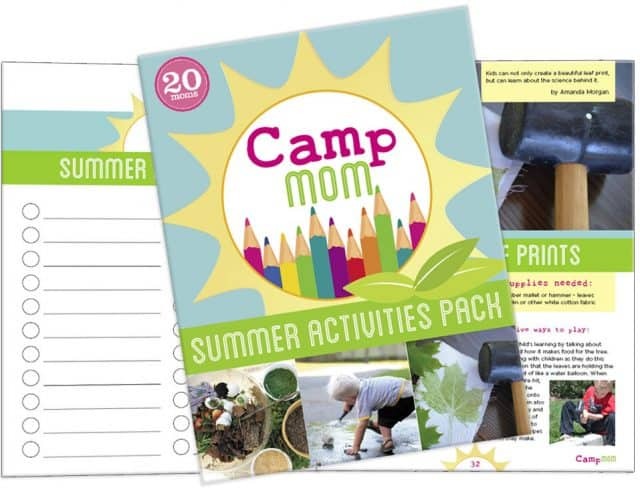 For moms, dads grandparents or childcare providers!Written by top kid activities bloggers, Camp Mom Summer Activities Pack will help you make a great summer experience for your whole family. 87 PAGES loaded with ideas plus the planning pages to make them happen. We want to make the most of summer – create those childhood memories that we hope our kids will enjoy looking back on for their whole lives. That’s a lot of pressure! That’s where Camp Mom comes in. 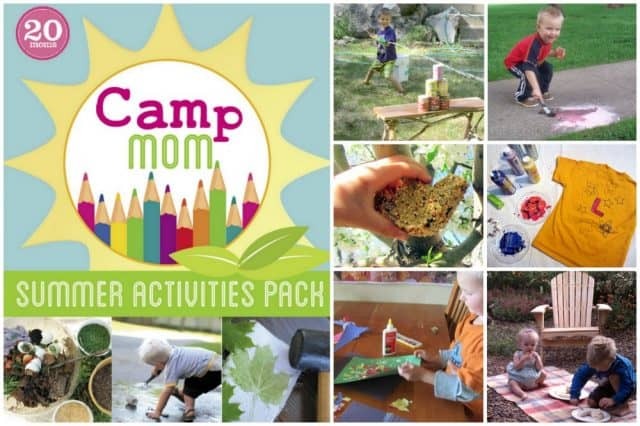 Camp Mom features myself and the bloggers behind Kid Activities Blog, Hands on as we Grow, The Artful Parent, Teach Preschool, Tinker Lab, A Mom with a Lesson Plan, No Time for Flashcards, Red Ted Art, The Imagination Tree, Kid Stuff World, Not Just Cute and Modern Parents Messy Kids. That’s a whole lot of kid activity experience, and between us we’ve created Camp Mom to help you make this the best summer yet. The Camp Mom! Summer Activity Pack is a great fit for kids ages 3-9. Download immediately and view on your computer or mobile device. Start any time! Stretch it out all summer or plan one exciting activity week. The Camp Mom pack will help you plan for fun either way. Wow! What an incredible and FUN resource! Perfect for me to use with my 5&3 year old boys this summer. I am a major planner, but rarely take the time to implement the actual planning stage & then often don’t get around to the activity because of my lack of planning…so this is a perfect fix. I can print off the planners, utilize my boys & their opinions, and make a plan that we can stick to! I love the flexibility portion too, because with boy #3 making his debut this summer as well, we will need some built in down time & the ability to switch things up at a moments notice. Thanks so much for this fabulous resource! I am so excited about Camp Mom, this is exactly what I need to help me create the kind of summer experience I want for my kids! I tend to have great expectations for the summer but pulling it all together while managing a house and family can make it difficult to execute. 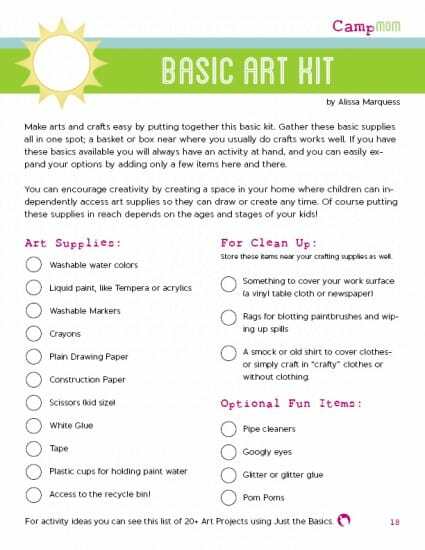 We are also on a tight budget so I am looking forward to giving my kids great summer activities that we can do at home. With four kids even reasonably priced extracurricular classes are not an option this year, thank you for writing this superb ebook! 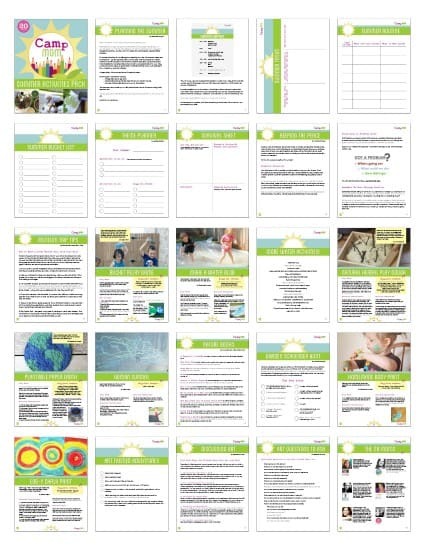 Use our planning printables to make flexible routines that help you enjoy your kids AND take care of yourself. Print your Summer Bucket List and plan the things you most want to do this summer. Use the Theme Planning Sheet to get organized for summer fun – you’ll have all of your ideas, and a supply list in one spot. Summer Bucket List – Make sure you don’t miss something you REALLY want to do. Summer Tasks Chart – Combine your tasks and the kids activities. Summer Routine – Plan for flexibility. When you download Camp Mom you’ll find a section that gives tips for choosing one of the themes and planning a day or a week around it. You can also mix and match activities and adventures from any of the summer themes and plan out a summer camp in your own home. We give themed activity sections that include activities, adventures and book recommendations. Water: Summer is the perfect time to splash around, so this section includes games, pretend play ideas and lots of interesting wet sensory fun. Includes instructions for making a giant 10’x10′ “Water Blob” for kids to play on in your back yard! Art: lots of painting activities and open ended art ideas. Includes a special article by art educator Rachelle Doorley, on how to talk with your kids about fine art, even if you’re no expert (hint, it’s all about the story). Rachelle gives us a printable list of questions that will get kids thinking and learning about art. Nature: Be explorers in your own back yard. 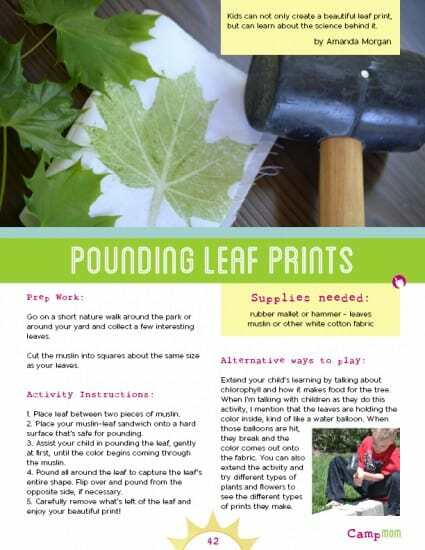 This section has nature art ideas, learning experiences like making a “human sundial” and a printable Garden Scavenger Hunt. How neat!! That looks like so much fun and filled with TONS of great ideas! LOVE IT!! Loved it! Thanks for all the wonderful ideas! Buy Camp Mom today and you will have immediate access to your downloadable file. You can read the book on screen or print it out. Some people print the entire book, others like to just print the planning pages or specific activities. These are activities and planning pages you can enjoy summer after summer.